Now that Thanksgiving is behind us and you may still have some leftovers carefully packed in your stainless steel refrigerator in Gramercy on the Park Apartments in Dallas, are you looking for ways to get into the Christmas spirit? There are lots of things to do nearby. 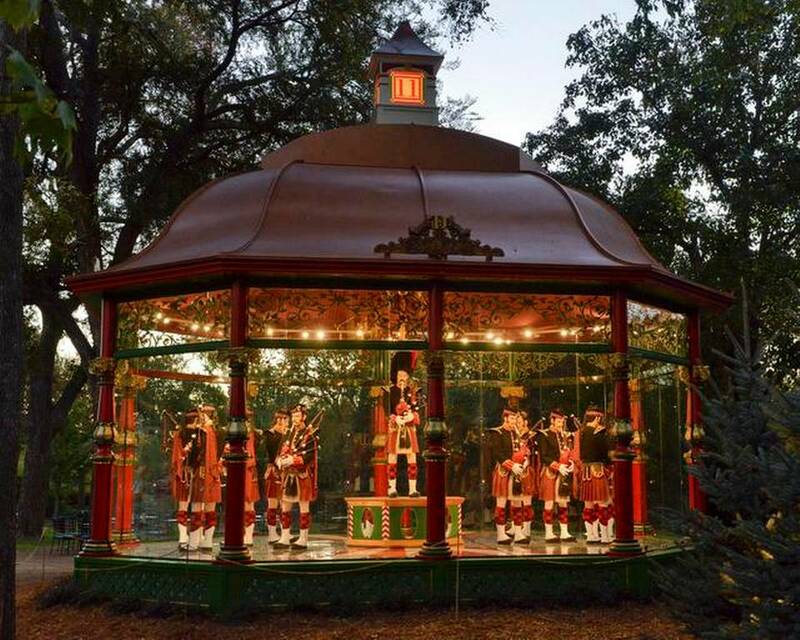 The 12 Days of Christmas is happening again this year at the Dallas Arboretum and Botanical Garden about 20 miles away. The exhibit features 12 (of course) 25-foot handcrafted Victorian gazebos each enclosed in glass with mechanical parts to bring the lords a leaping, ladies dancing, maids a milking and the other characters to life. At the center of it all is a 30-foot-tall Christmas tree. Santa will be there along with live music and holiday tea. In the DeGolyer house visit The Artistry of the Nativity exhibit featuring 500 nativity scenes from around the world. Speaking of 12 Days of Christmas, The Dallas Symphony Orchestra and Chorus performs this tune at the Christmas Pops at the Meyerson less than 17 miles away. This performance features sing-along carols to sacred choruses including “Joy to the World,” “It’s the Most Wonderful Time of the Year,” pieces from the Nutcracker, The Polar Express movie and more traditional songs. A little closer to home, just two-and-a-half miles away, at the Shops of Willow Bend is the Ice Palace. The palace features a 30-foot globe with falling snow and a light show and smaller globes that look like they are carved from ice. Before leaving the palace, you can take a picture with Santa on the Ice Throne. May your days and nights be merry and bright at Gramercy on the Park apartments.